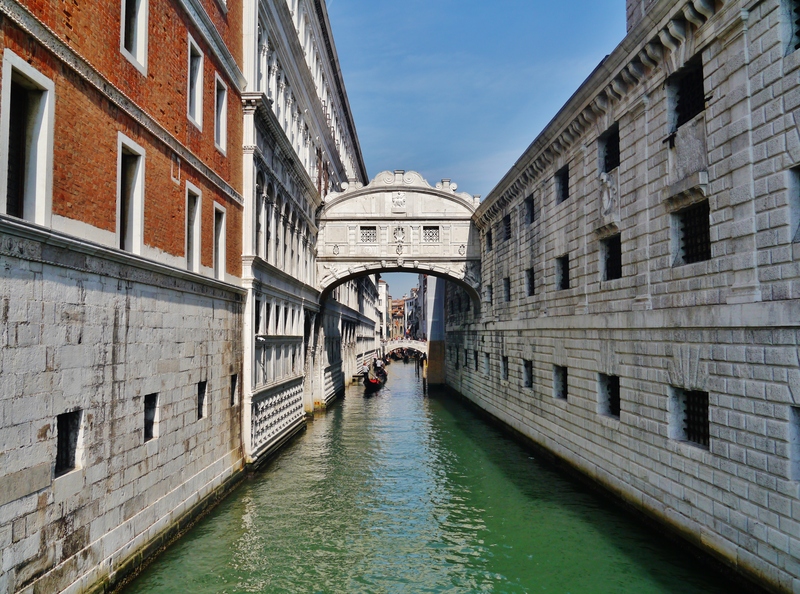 An enclosed bridge over the Rio di Palazzo, Ponte dei Sospiri connects the new prison with the doge's Palace. In the 17th and 18th centuries, the view from the bridge was the last time condemned convicts saw Venice. Lord Byron wrote that the criminals would sigh at their last sight of the city. However, Lord Byron exercised a bit of literary license; the grating on the bridge openings would have made it difficult for the convicts to see anything. A more modern legend has it that lovers will be granted eternal bliss if they kiss on a gondola under the bridge at sunset while the bells of St. Mark's Cathedral toll. This served as a plotline for the film "A Little Romance." Using our world travel planner, Venice attractions like Ponte dei Sospiri can form part of a personalized travel itinerary. 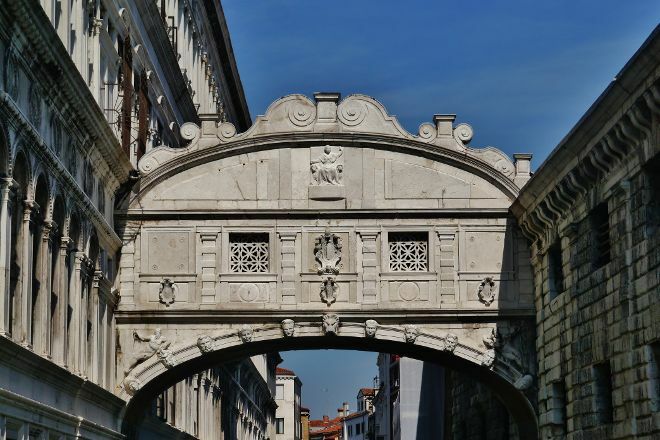 It is a bridge which is ceca of the St. Mark's square on the boulevard of the ducal palace costa.une, was a prison to the Court of the inquisicion.hablamos of the year 1602.y was built to move the prisoners more rapido.y say that the prisoners they crossed the bridge and sighed because on the other side they it hoped his trial. Today it is a tourist place and deserves be tour both below in the channel and on the inside, making the promenade by the ducal.pero Palace outside you can also appreciate and make good photos. Famous for being the bridge of the last gasps of the prisoners before execution. Part of the history of the site. Beautiful bridge crossing the canal with a sombre history. It must be one of the most famous bridges in the world and a must see on a visit to Venice. 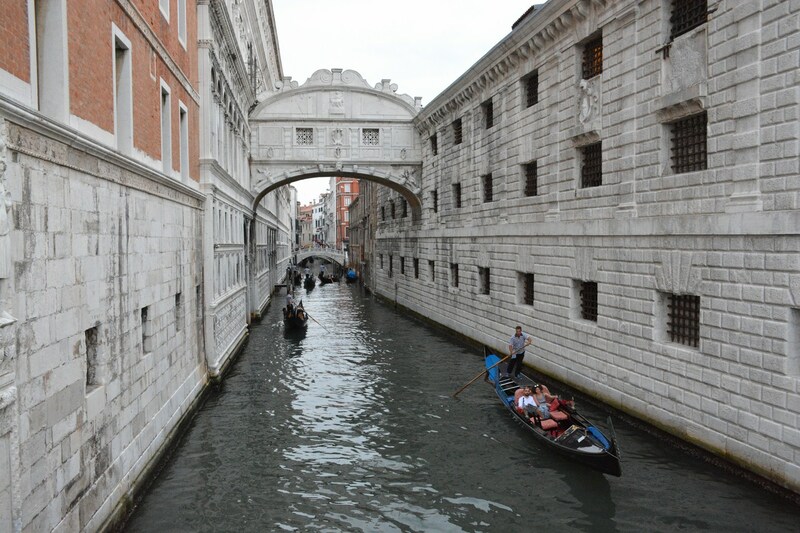 It can be viewed either by gondola, where you pass under it or from the side viewed from another bridge. 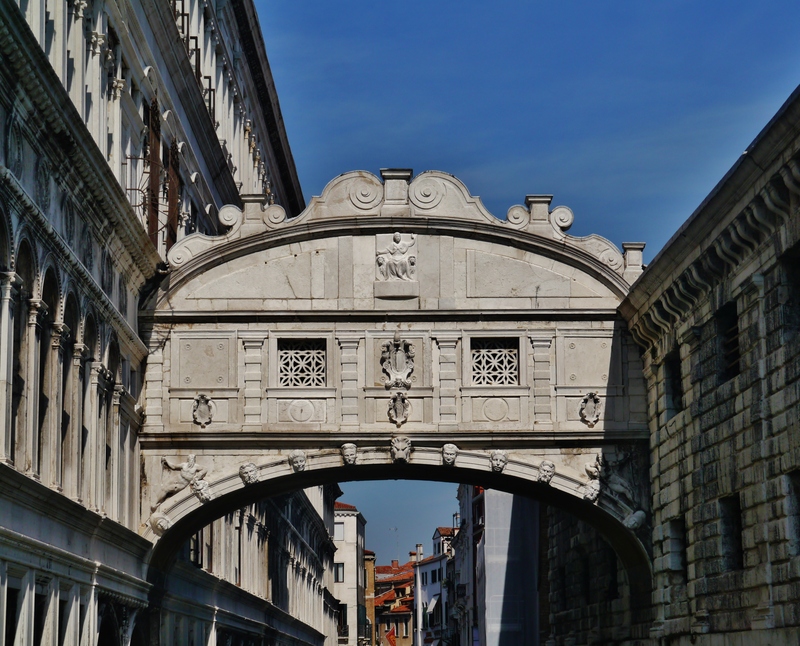 The bridge joins the Doge’s palace to the prisons. It’s quite an eerie feeling crossing it and it’s apt name conjure up the feeling of abject terror the prisoners must have felt when being sent down. Cross it, and you are walking in the footsteps of Casanova. From outside of course it is a beautiful marble-faced piece of architecture, but such an iconic location that it’s hard to get a decent picture because of all the tourists taking selfies in front of it. Founded in 400 AD and built on a north adriatic lagoon, Venice is an amazing city to visit. Steeped in history and art, it's romantic canals, gothic architecture and great seafood are sure to please. A nice bridge of beautiful stories. Better if you could go though the bridge itself rather than staying outside taking pics. Every day, we help thousands of travelers plan great vacations. Here are some tips on how to use your Listing Page to attract more travelers to your business - Ponte dei Sospiri. Promote your permanent link - https://www.inspirock.com/italy/venice/ponte-dei-sospiri-a47266399 - on your website, your blog, and social media. When a traveler builds a plan from this page, the itinerary automatically includes Ponte dei Sospiri. This is a great way for travelers looking for a great vacation in your city or country to also experience Ponte dei Sospiri. Promoting your link also lets your audience know that you are featured on a rapidly growing travel site. In addition, the more this page is used, the more we will promote Ponte dei Sospiri to other Inspirock users. For best results, use the customized Trip Planning Widget for Ponte dei Sospiri on your website. It has all the advantages mentioned above, plus users to your site can conveniently access it directly on your site. Visitors to your site will appreciate you offering them help with planning their vacation. Setting this up takes just a few minutes - Click here for instructions.